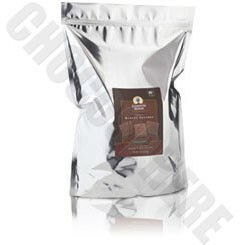 Scharffen Berger 5Lb reclosable bag of 5 gram unsweetened baking squares. 99% cocoa content. Designed to meet the needs of the chef, Scharffen Berger's Petite Baking Squares provide the professional and home chef with exceptional, artisan chocolate in a convenient format that is easy to melt and measure.